Sorry for abandoning the blog for more than a week, but i've got some legit reasons! I planned to take outfit photos last wednesday but i got really really ill so i stayed in bed all day. The day after that i headed to the Best Kept Secret festival which lasted till yesterday (more about this in one of the next posts), therefore i couldn't update. But hey, i'm back again with a new outfit! 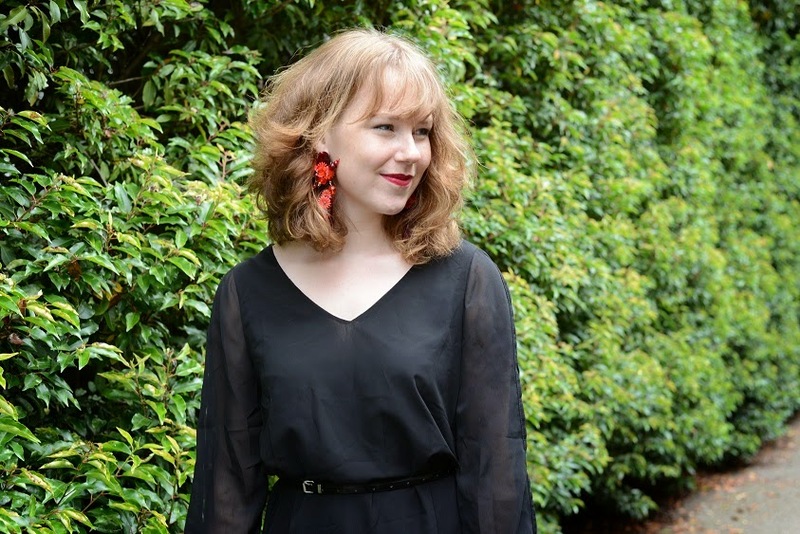 This time i'm wearing a lovely little black dress from Sheinside (click for the direct link) which is so easy to combine and floating perfectly! Oh wouw, dat is echt een mooi jurkje! Dat jurkje staat je heel goed! Prachtige outfit! Het wordt ook altijd wat stiller rondom bloggers in de zomer, iedereen is op vakantie enz! LOVE this dress! Thank you so much for your comment! Comments really make my day<3 I had been away from the blog for a month and finally got to post again. I think you'll really like it! Would love for you to come by! I just love this dress and skirt on you! It is so stunning, and i love the sleeve treatment! Those earrings are stunning, too, btw..
Glad you are feeling better and I would love to hear more about that festival! Your dress is gorgeous! I really love the split sleeve detail! Hope you're feeling better! And the earring from you mom is very pretty! You look so beautifully elegant, love the dress hun! Have a wonderful start to the weekend!